de Ark is de Best! Lekker! Tasty-Tuesday In Haarlem, Netherlands. I found this town by accident when the Concierge at my hotel, located in a neighboring town, recommended a restaurant in Haarlem because it was a bit past dinner hour and all of the local restaurants were closed. Haarlem, Netherlands is a charming medieval town located about 10miles from both Amsterdam and Schiphol Airport, on the banks of the Sparne River. 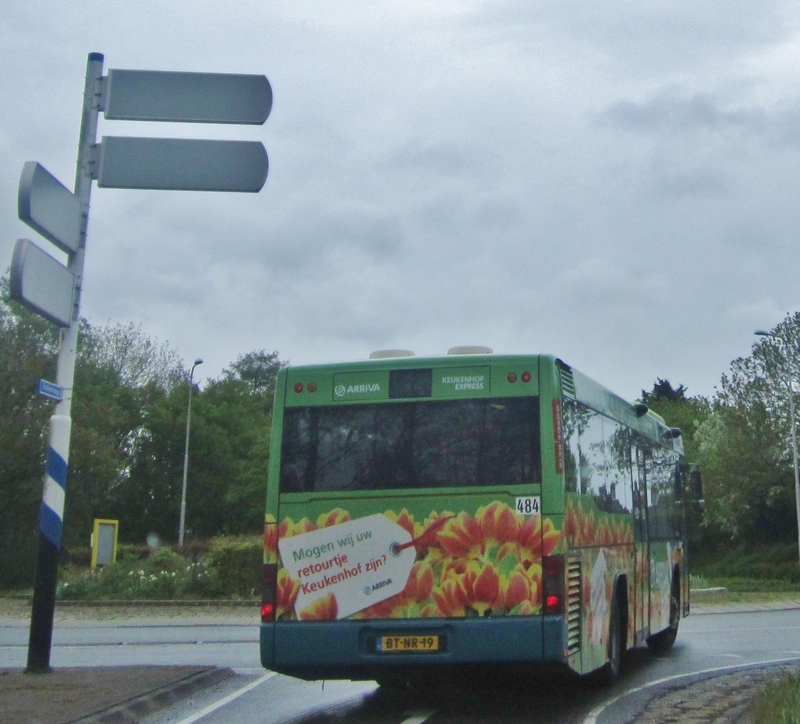 It is also 10 miles from Leiden and the cheese market Alkmaar. A great jumping off point with train access. I wished that I had stayed in Haarlem for at least several days. The Huffington Post recently listed this town as “10 Secret European Spots you want to visit STAT.” Great old buildings, boats and lots of style. Dating back to gothic times, Haarlem is older. Who knew? The surrounding area is gorgeous! 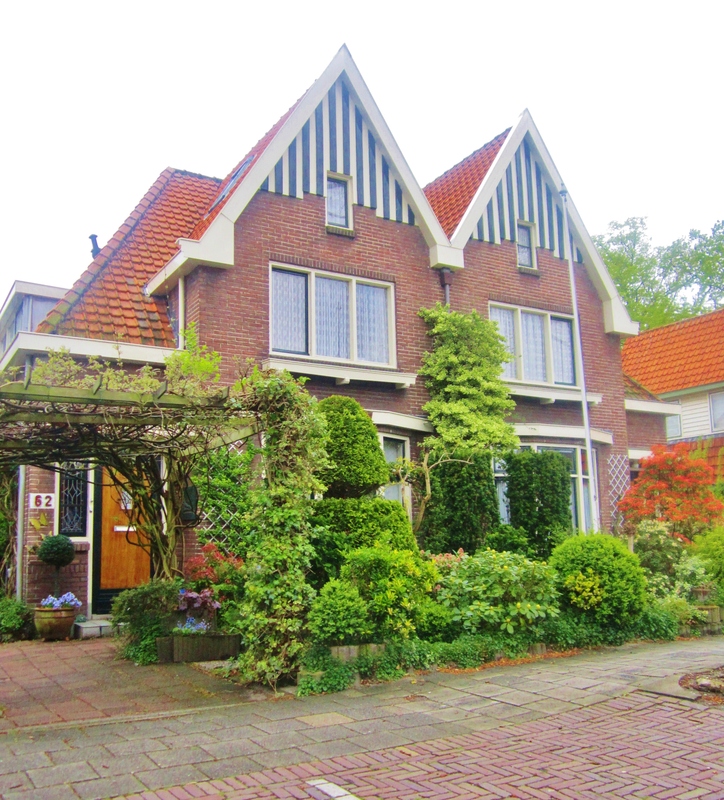 Known as the capital of North Holland and the center of the Dutch flower-growing district. 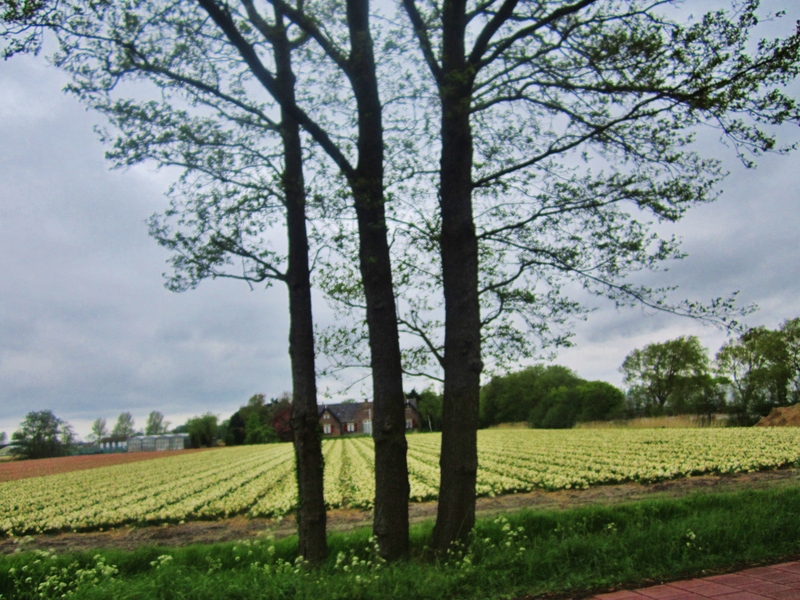 The main export point for flower bulbs, there is great history here. 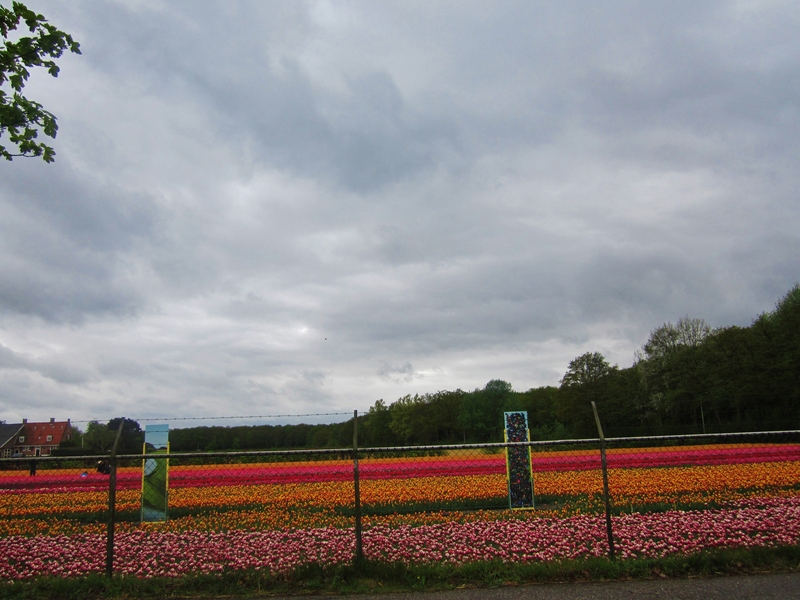 It is a great jumping off point to Keukenhof and Amsterdam. Honestly, I would have LOVED to just drive around in the countryside and towns. The train is so easy to take into Amsterdam without the hassle and cost of parking-which I did experience. Love the houses! 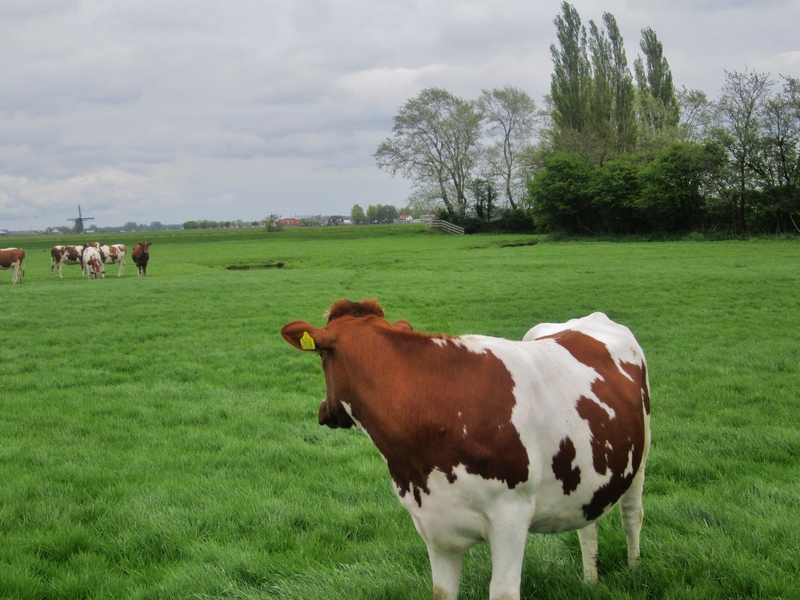 But these fields are quite a sight! Now, about Tasty-Tuesday. 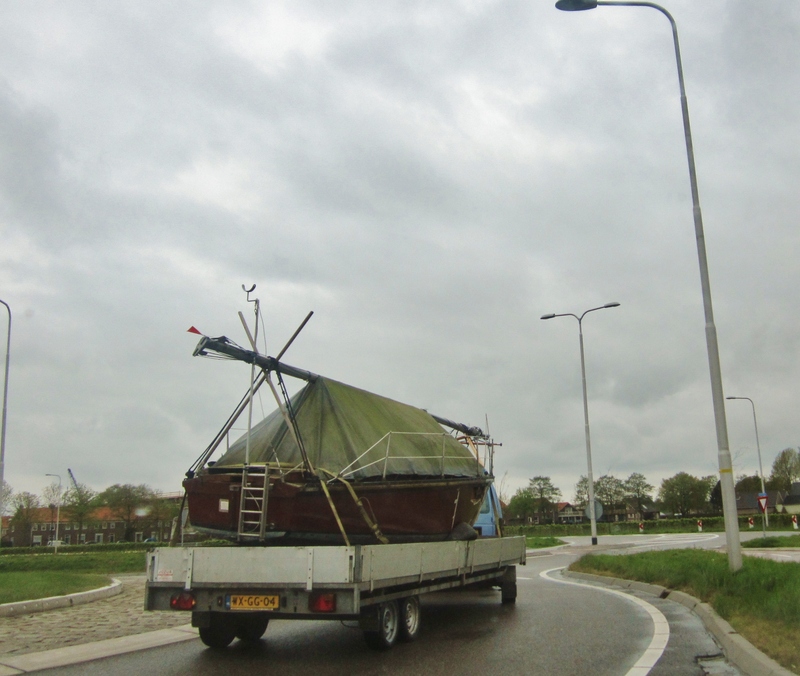 Close to the do not miss Frans Hales Museum, and near the canal is a restaurant that I loved. Located in a three story building off the beaten main path, with a cool pub below. After the fact, I checked Trip Advisor and it wasn’t rated in the very top of many restaurants in Haarlem. 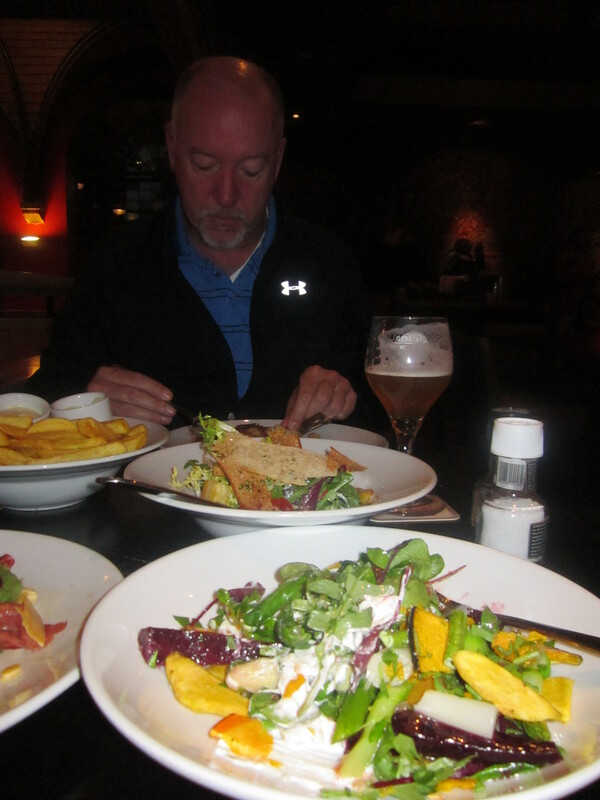 I loved it so that just means there is great food in Haarlem ready when I return. The pub is super chill and has many choices of great beers. It is totally my style. Upstairs is a dining area though I saw people eating downstairs. The staff was super friendly and accommodating, even at a later hour there were many diners. They ran up and down some pretty darn steep stairs for my food. The menu, available in other languages, includes daily specials with choices for everyone, without being too overwhelming. Interesting meats, poultry and vegetarian dishes. I guess I was hungry, check out this table. Steak with herb butter. Mounds of French fries. Warm bread with garlic herb butter. I had the best greens, beet , fruit and cheese salad. Especially loved the toasts with warm goat cheese and honey-LEKKER! Oh, and did I mention, the awesome bier/beer selection? 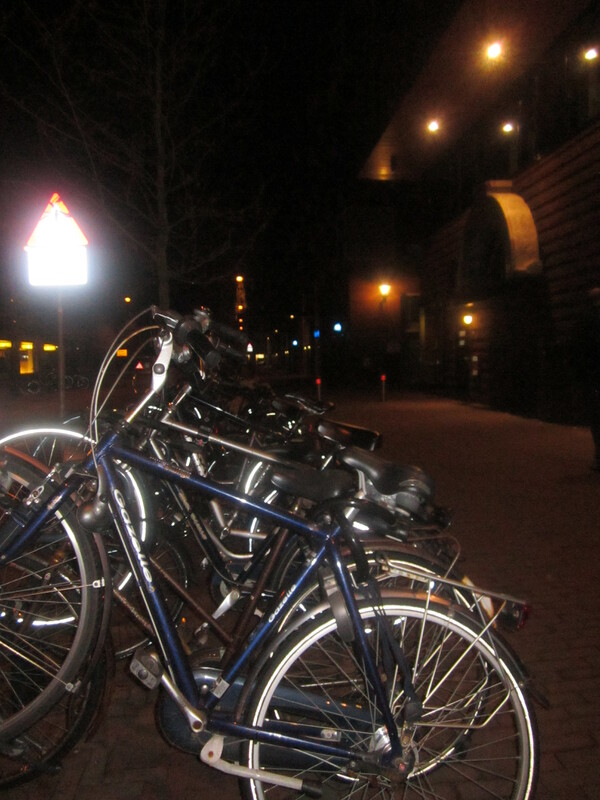 It was night time when I visited Haarlem. My photo ops were limited. MEGastars 5 ***** of 5! 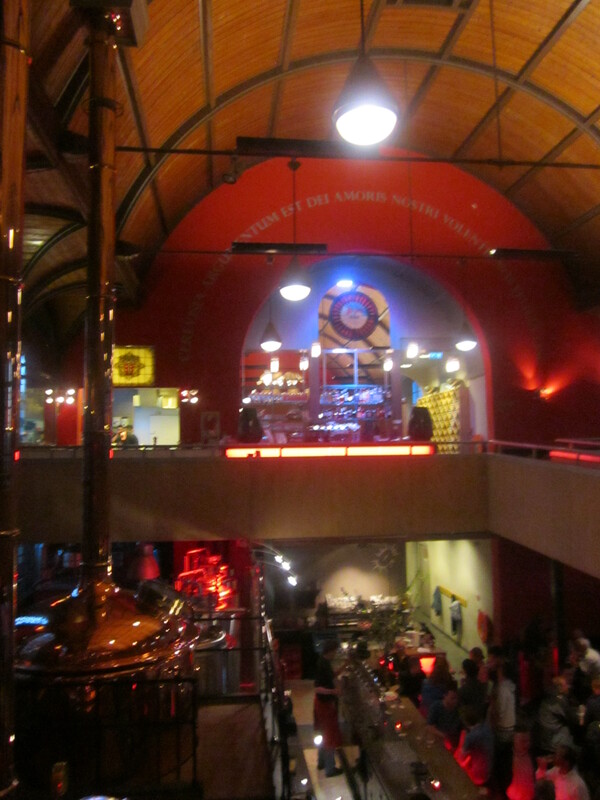 Consider staying in Haarlem and exploring this fantastic town. Great boutique shopping, museums, and awesome sights. Use the train that takes you to Amsterdam without the hassle of parking. Visit de Ark. It is a great pub with some great “real food.” I need this when I roadtrip. There is a self pay parking lot nearby. For more photos, check out my Instagram and my prior blog about Keukenhof. 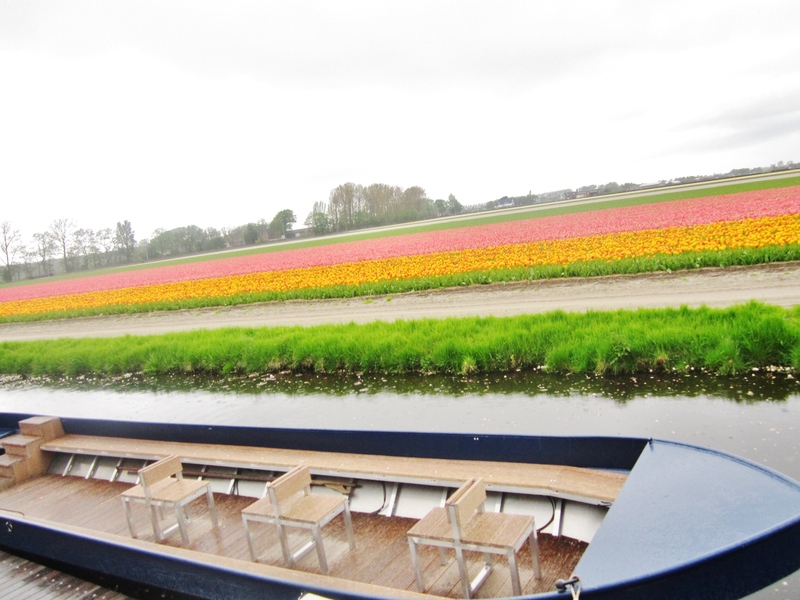 ← Meg Tip Toe’d Through The Tulips-Keukenhof Gardens, Netherlands.